Sometimes it can be hard to give your toddler healthy snacks if they are picky eaters. My son was and still is a carb junkie. The problem with the snacks he preferred is they didn’t contain enough nutrition. 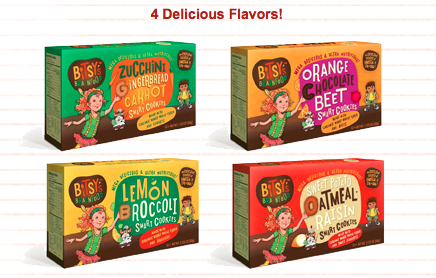 Bitsy’s Brainfood is a great alternative to crackers and biscuits. These bite-size organic snack contain delicious ingredients to boost the nutrients like sweet potatoes and broccoli. We think eating smart and actually being smart are connected. And that being healthy is about more than just eating the right stuff. At Bitsy’s Brainfood, our goal is to make mega-delicious snacks and provide resources that nurture kids’ bodies, minds, and imaginations—to teach them to crave the right foods, and to make learning fun. Alphabet shaped cookies baked with real fruits & veggies! Of course the chocolate beet is my favorite flavor! Nutrition really is key for our physical and mental health, and sometimes willful toddlers make this challenging.